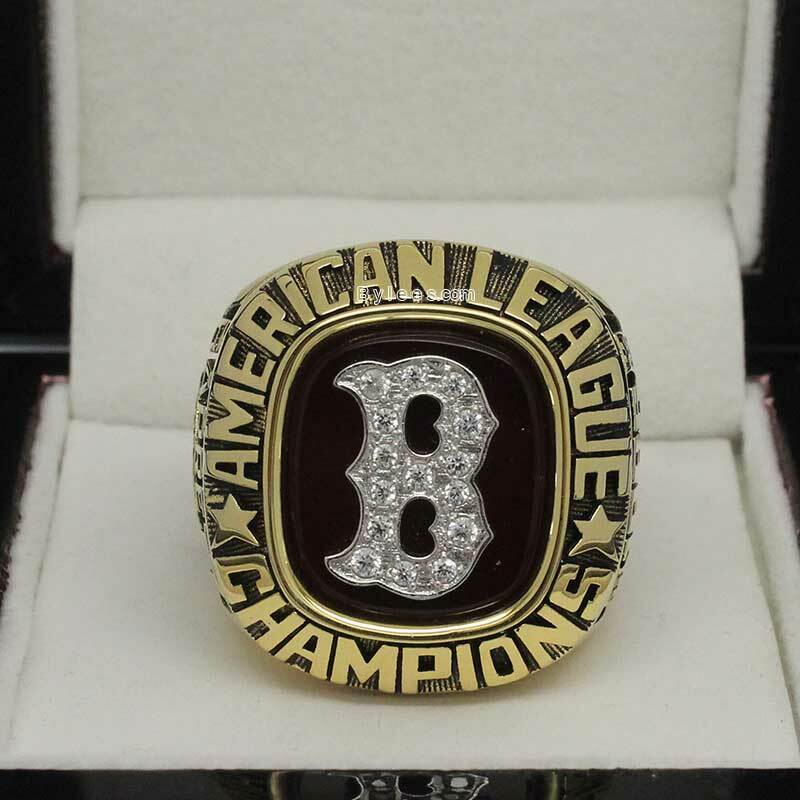 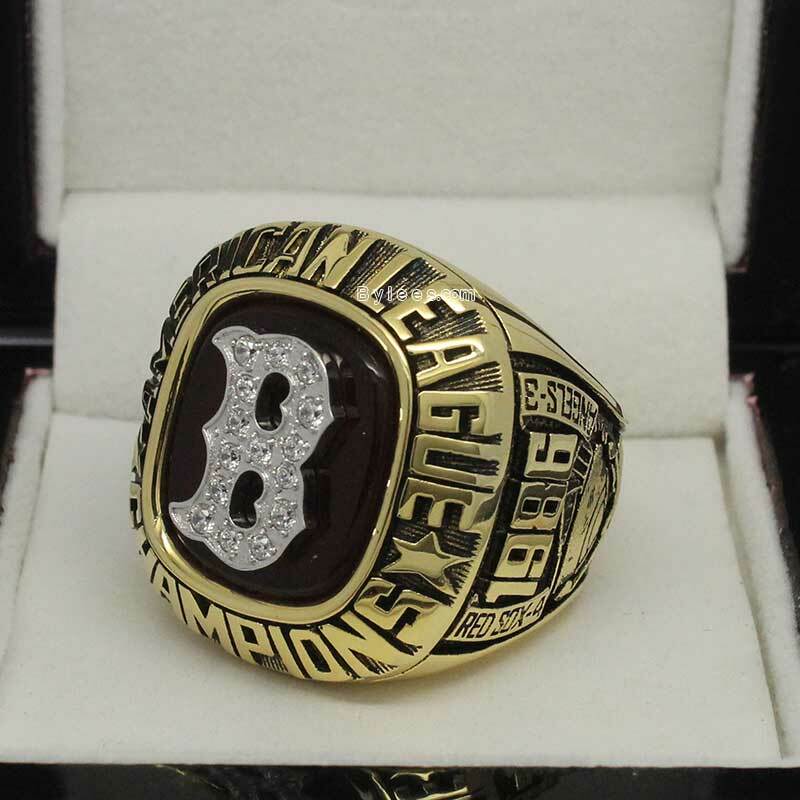 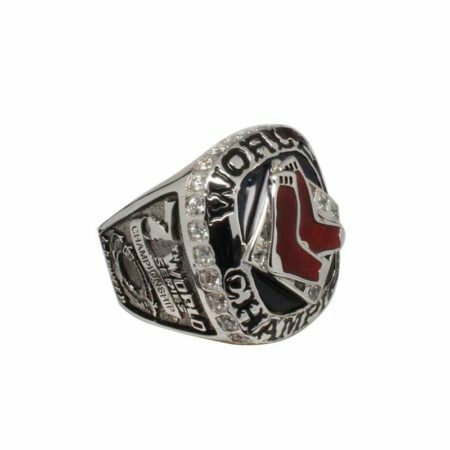 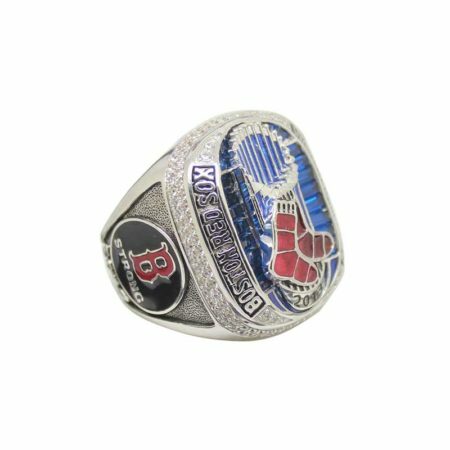 1986 Boston Red Sox AL Championship Ring is the only BoSox Championship ring in their 1980s. 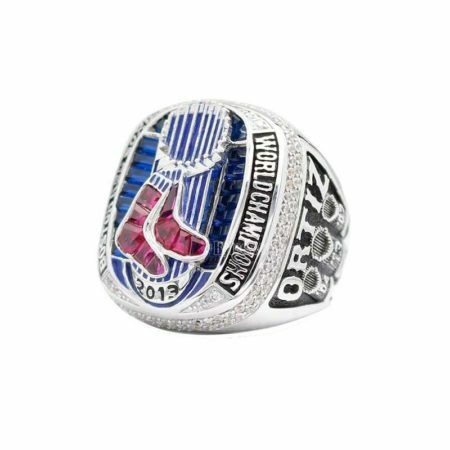 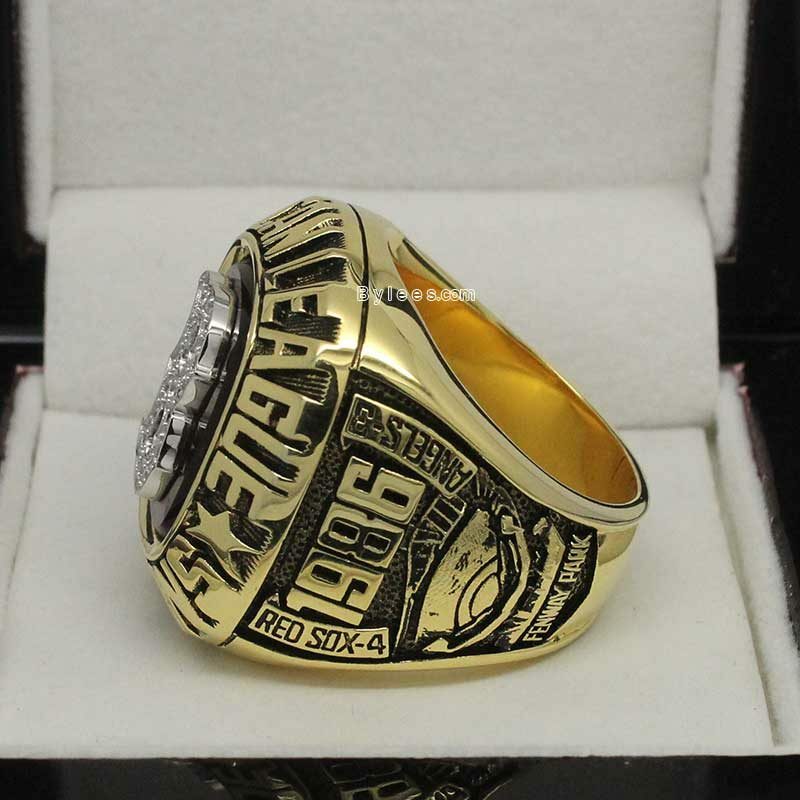 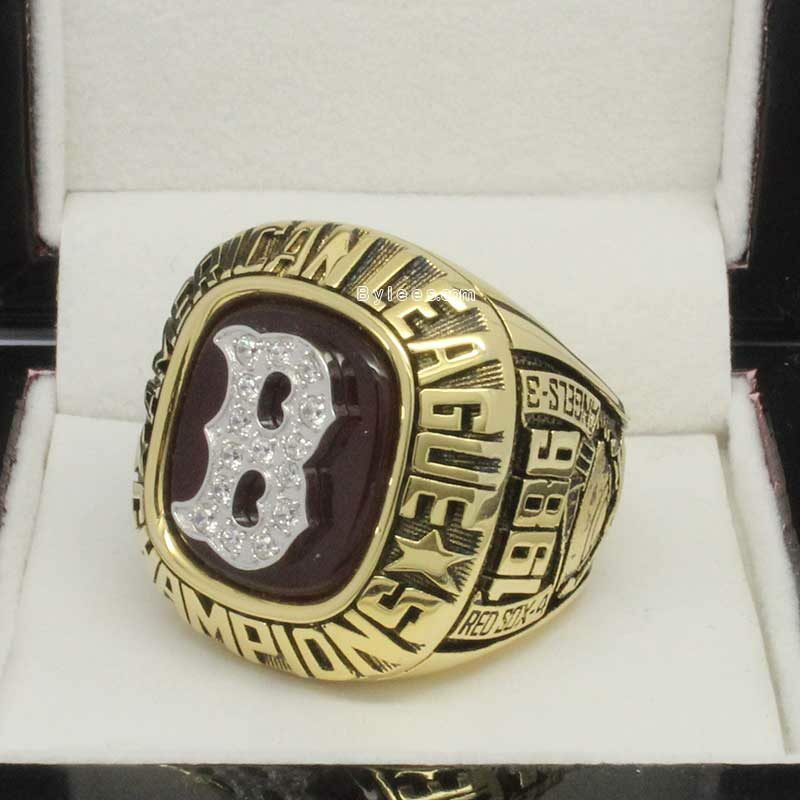 The design is typical in that age, with a Red Sox Cap Insignia on the top to define it as Red Sox 1986 Championship ring. 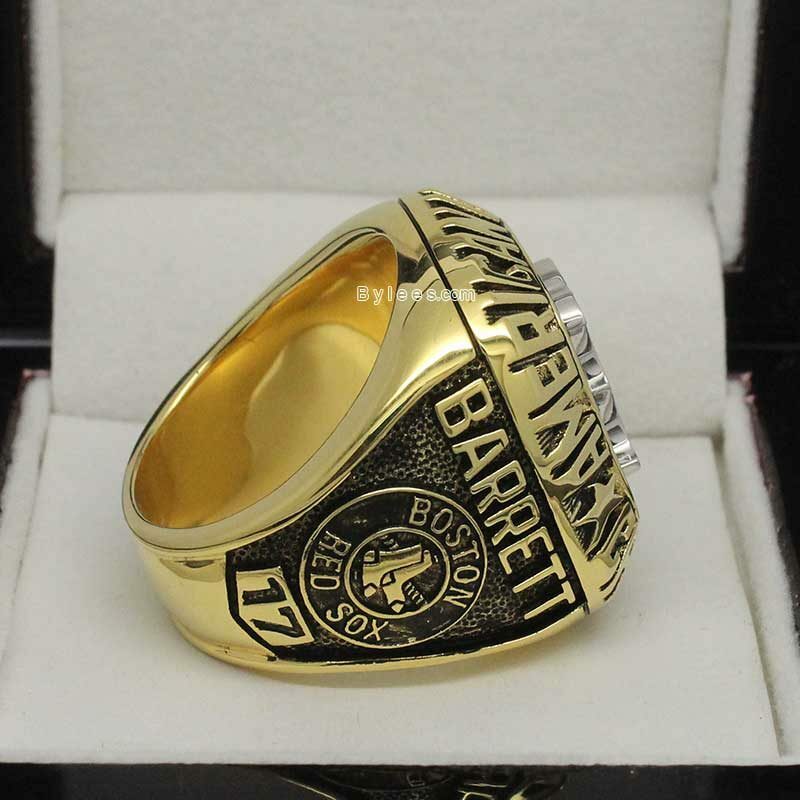 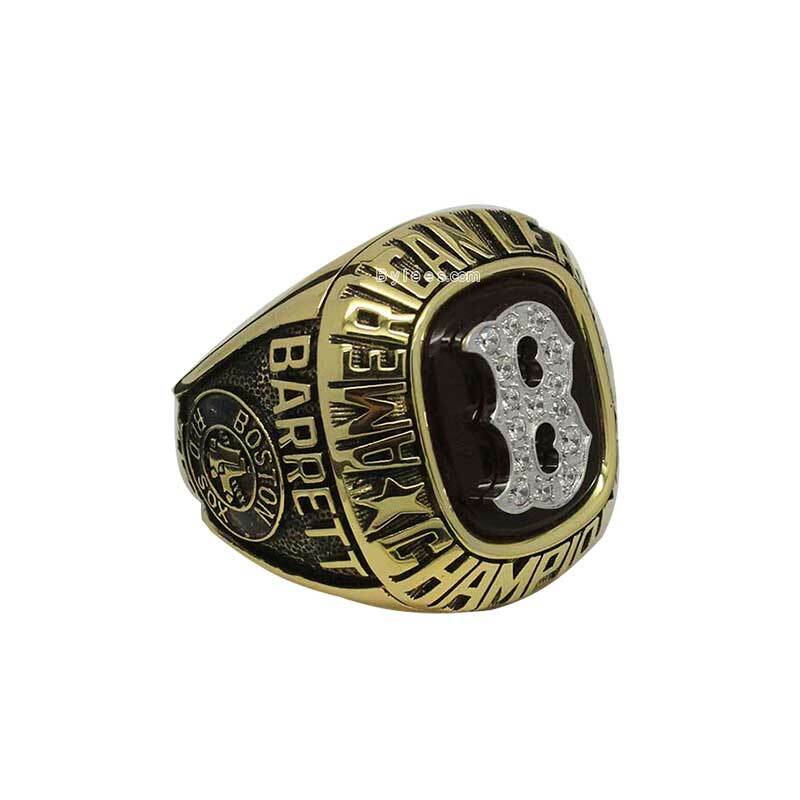 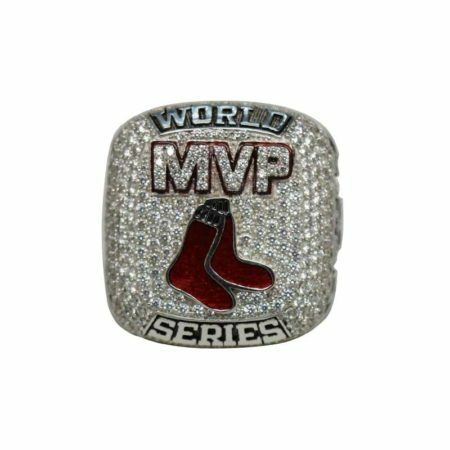 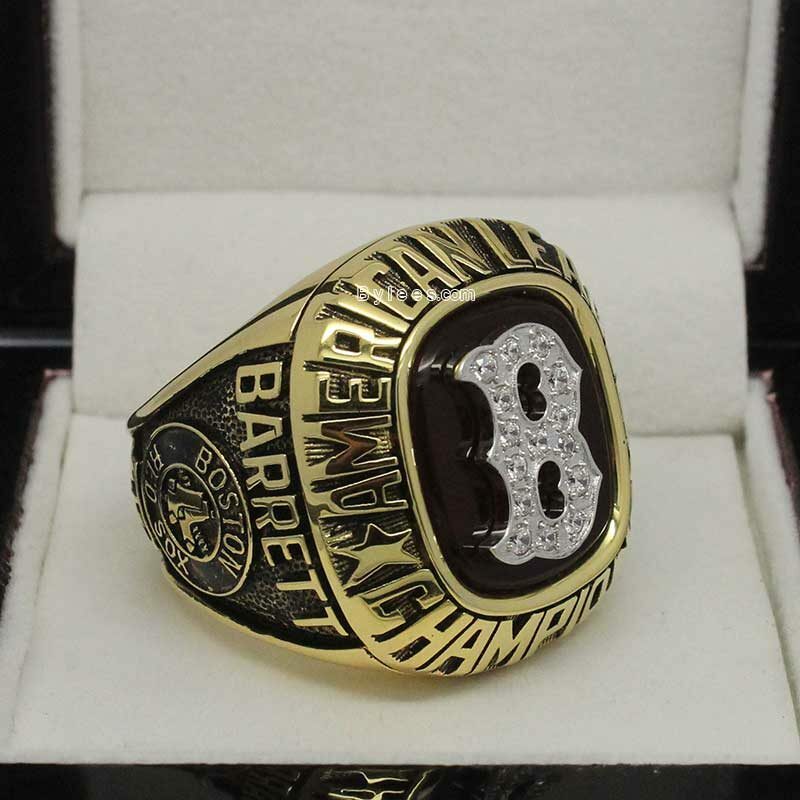 the version here is the league MVP Marty Barrett red sox championship ring.